Fru-Gal.org: Free $30 Credit to Shutterfly When You Transfer Photos from PhotoWorks! 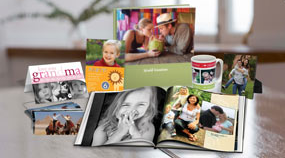 Free $30 Credit to Shutterfly When You Transfer Photos from PhotoWorks! This is a terrific offer from American Greetings' PhotoWorks, which is going out of business... Check out Money Saving Mom's post on how to get $30 in free credit to Shutterfly with free shipping when you transfer your photos from PhotoWorks to Shutterfly!